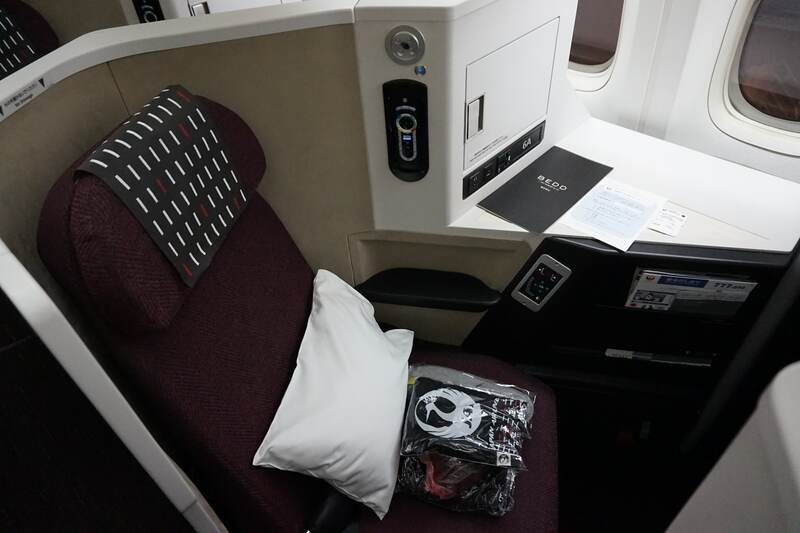 A review of JAL's business class product on its B772 aircraft. 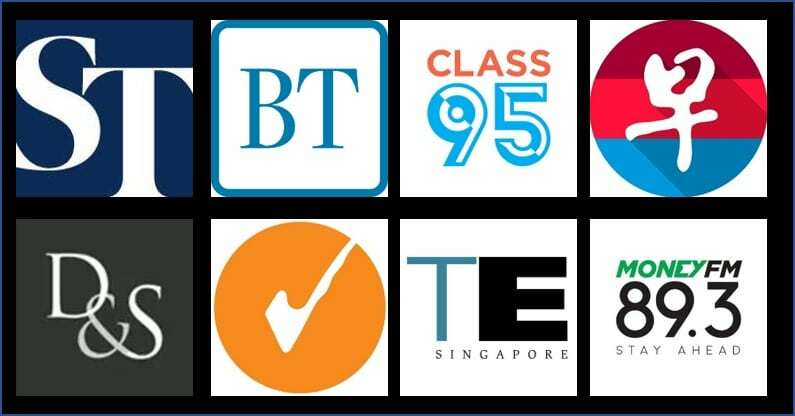 How are the seats, service and food? 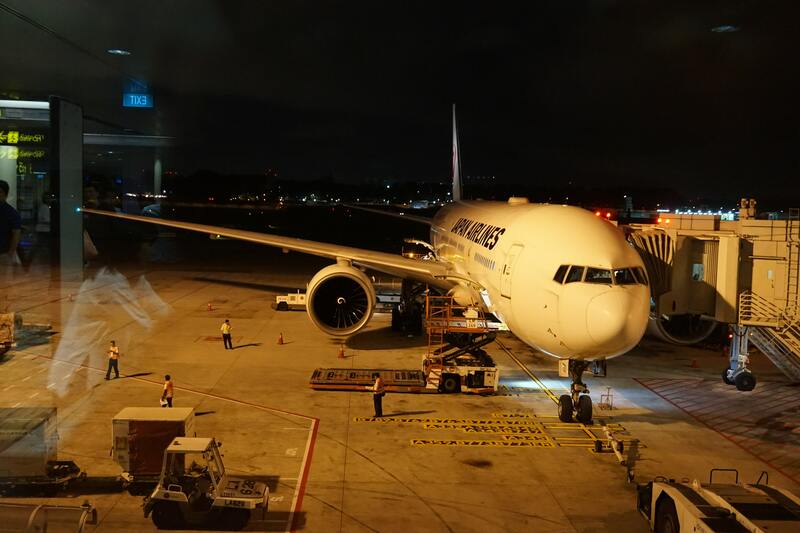 I finally managed to tear myself away from the Qantas lounge and headed over to my boarding gate for JL36 to HND. Through the glass I could see the bird fuelled and waiting. 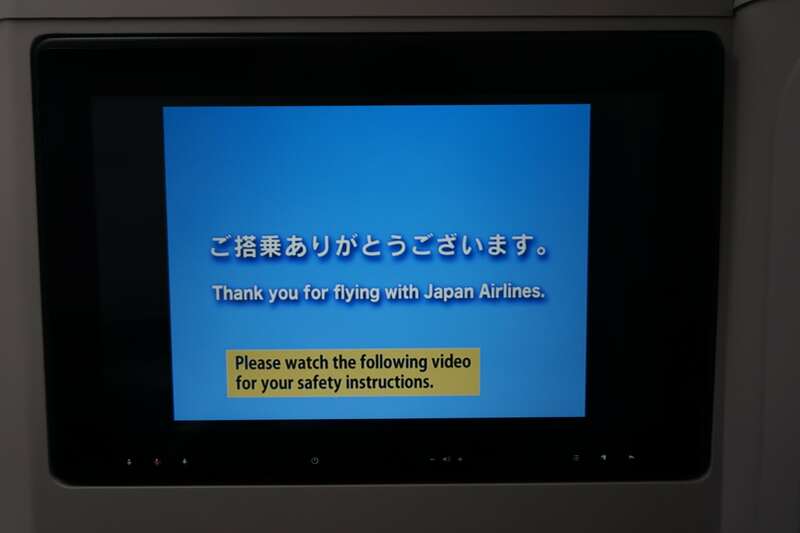 Boarding was delayed by 10 minutes, and in a very Japanese way the ground staff bowed to apologise when this was announced. 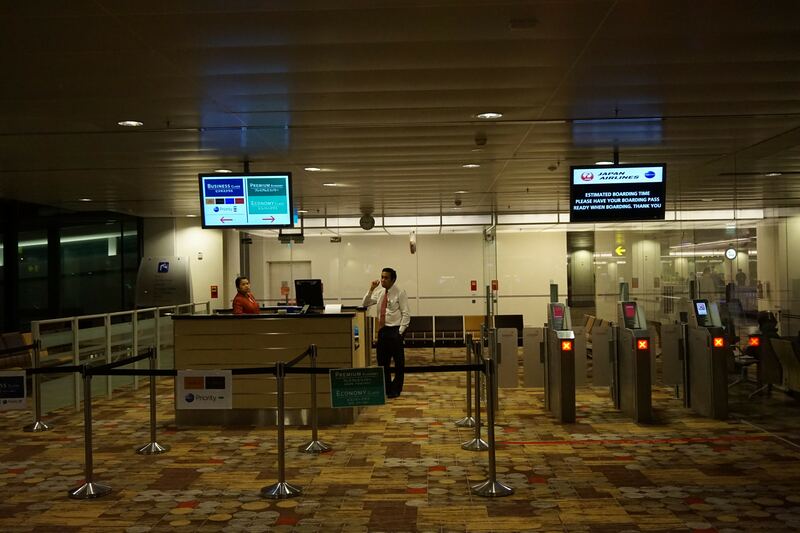 When boarding started, they again came to the front to bow to the passengers. 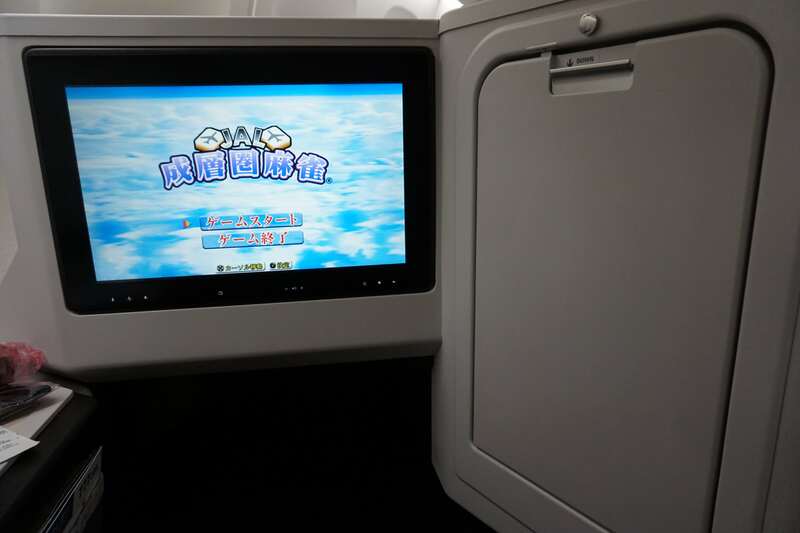 In JAL’s case, however, First Class and all frequent flyers boarded first. 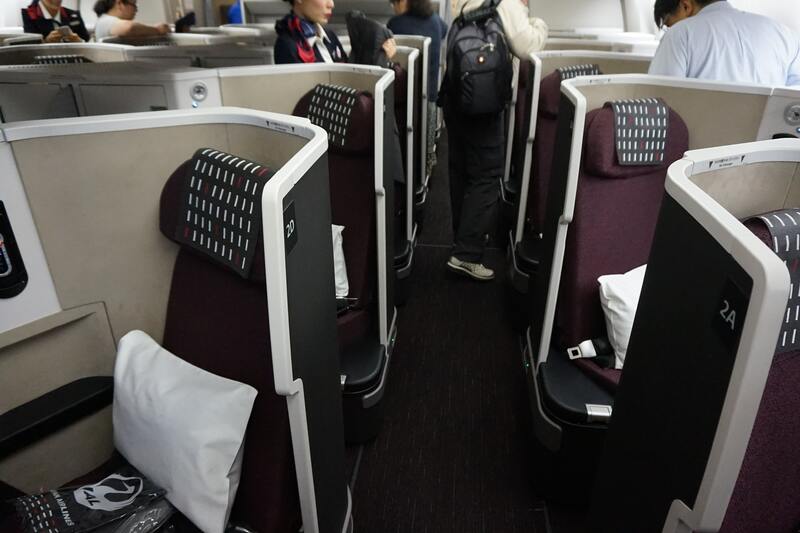 This meant that even Oneworld elites flying in economy boarded before the business class passengers, and there were quite a few of them. 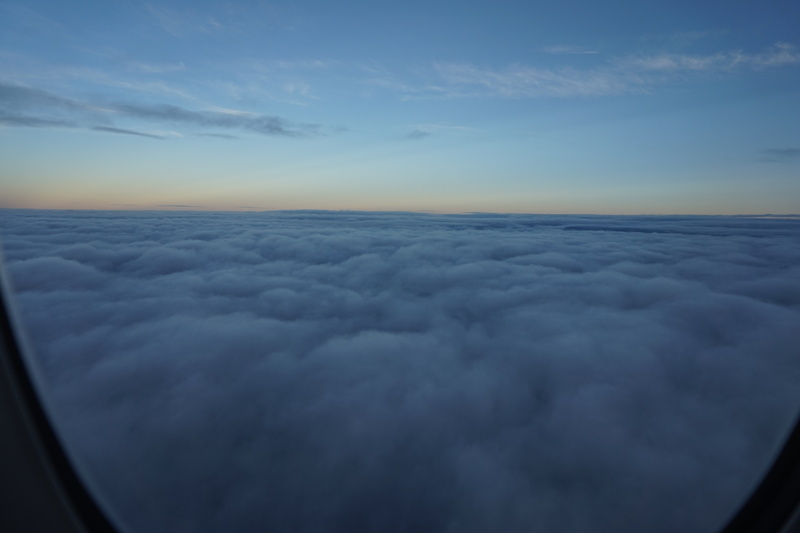 Although on departing I managed to snap this much emptier photo. 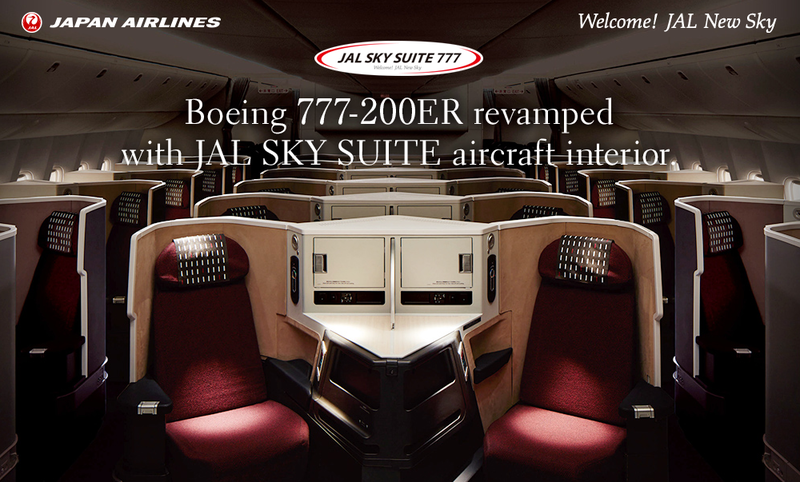 JAL’s B777-200ERs have the SkySuite III product and are configured with 1-2-1 seating in business class. 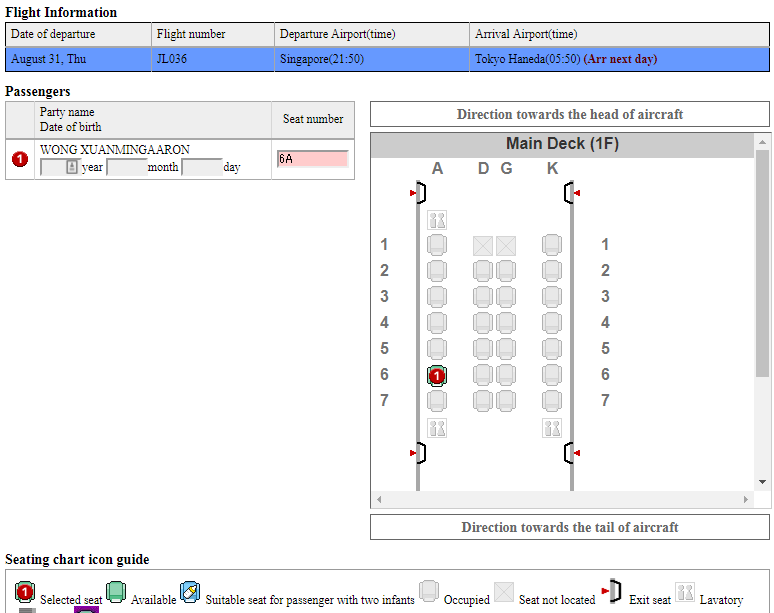 I had seat 6A, on the port side of the aircraft. 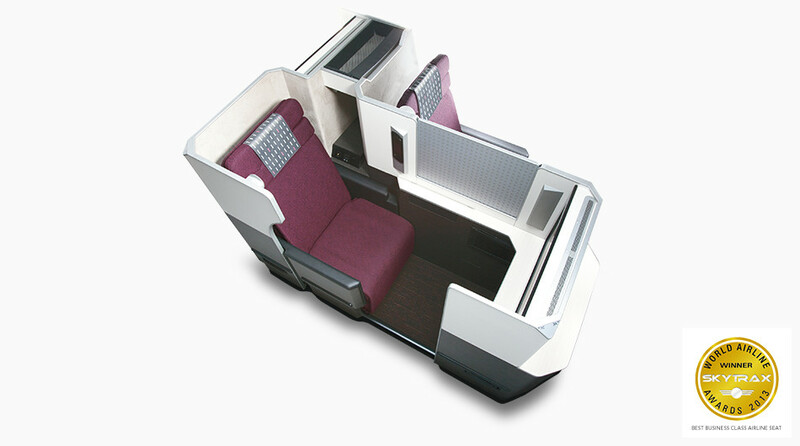 JAL is quite proud of these seats, which won a Good Design Award in 2016. 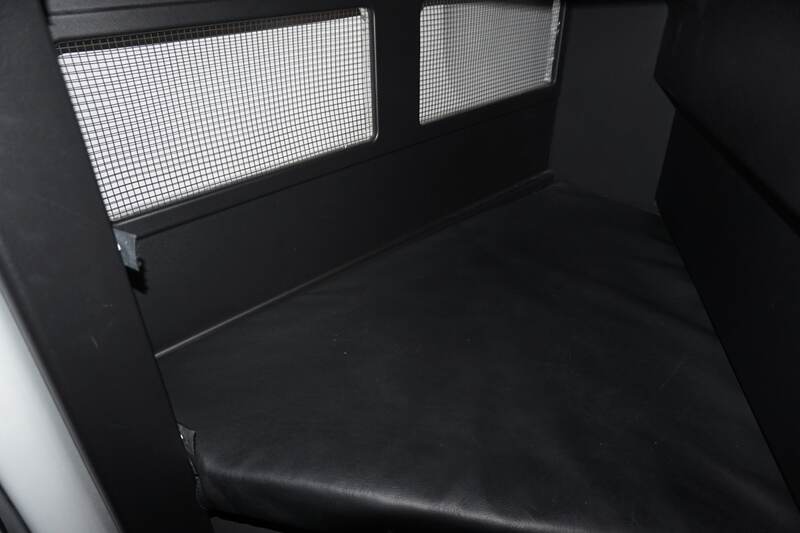 The center 2 seats had a privacy partition that could be pulled out from the middle (you’ll see it extended in the photo below, and retracted in the photo above). 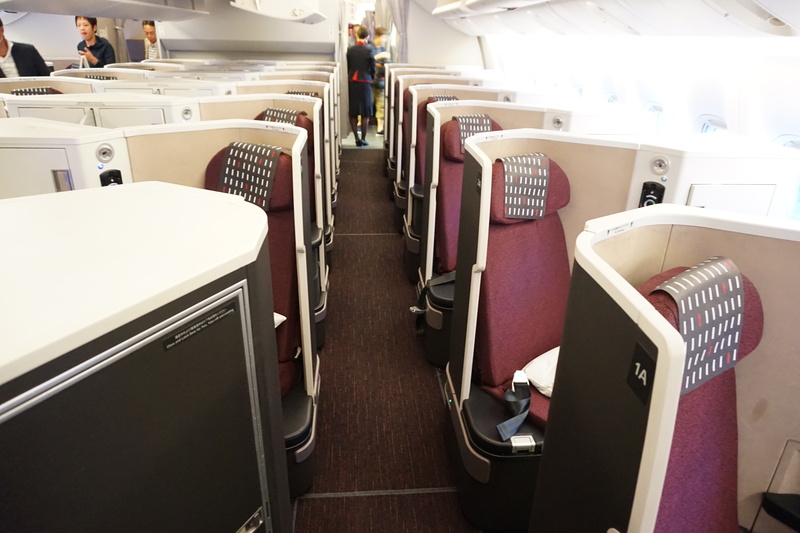 But even with the privacy partition retracted, you’d have to lean forward quite a bit to see your seatmate. 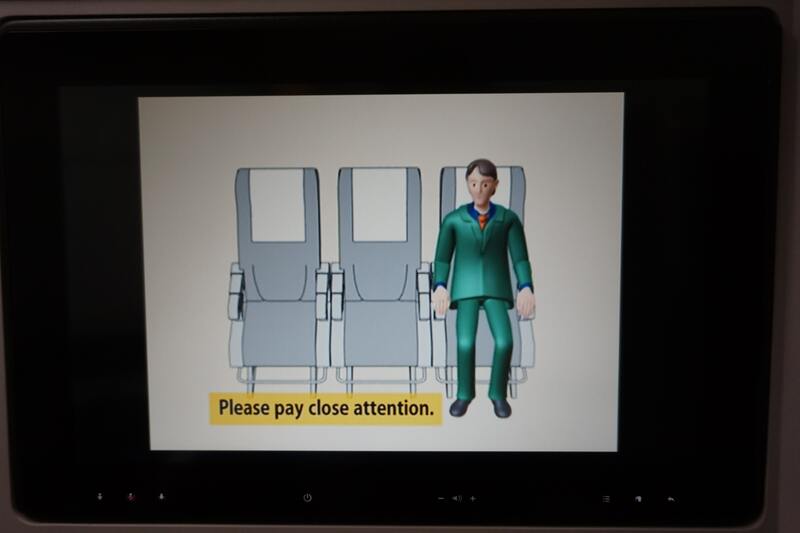 Not ideal if you travel with someone you know, but human contact is so overrated. 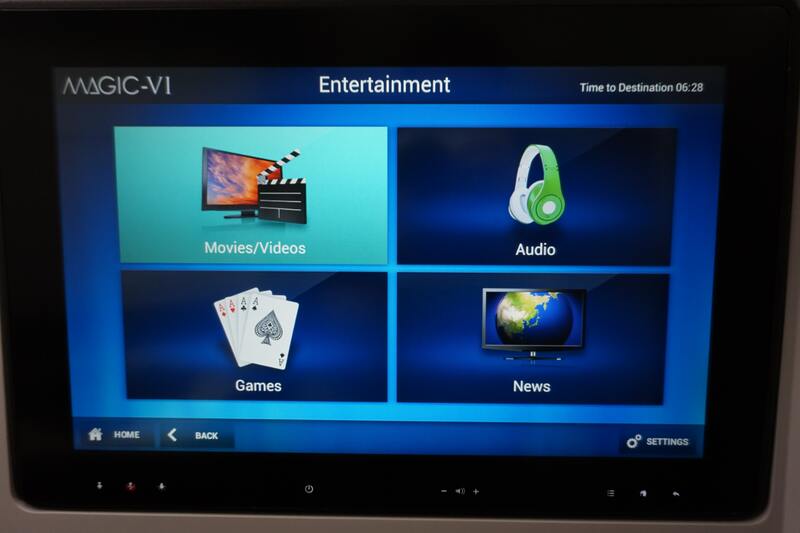 Here’s my seat, 6A. I chose this as it’s reasonably far from the galley. 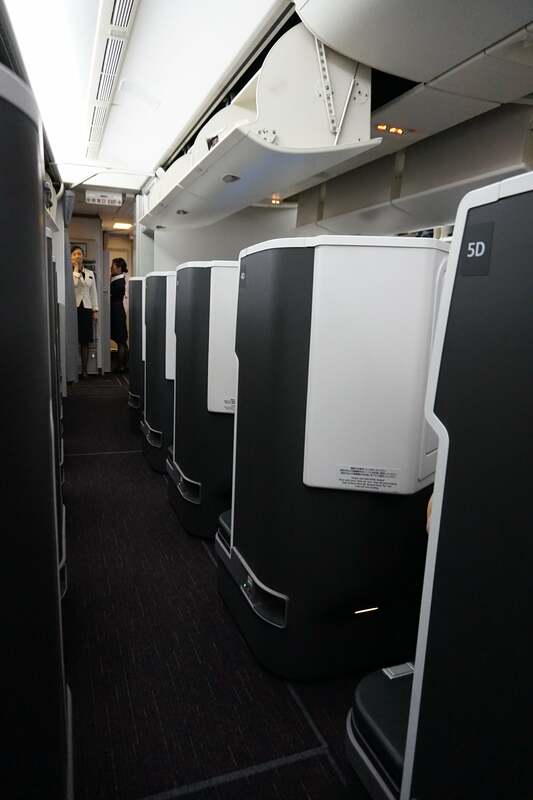 The seats did fairly well in The Milelion’s Stand Up Test (a simple way of gauging business class cabin privacy- when you stand up, how many people can you actually see? 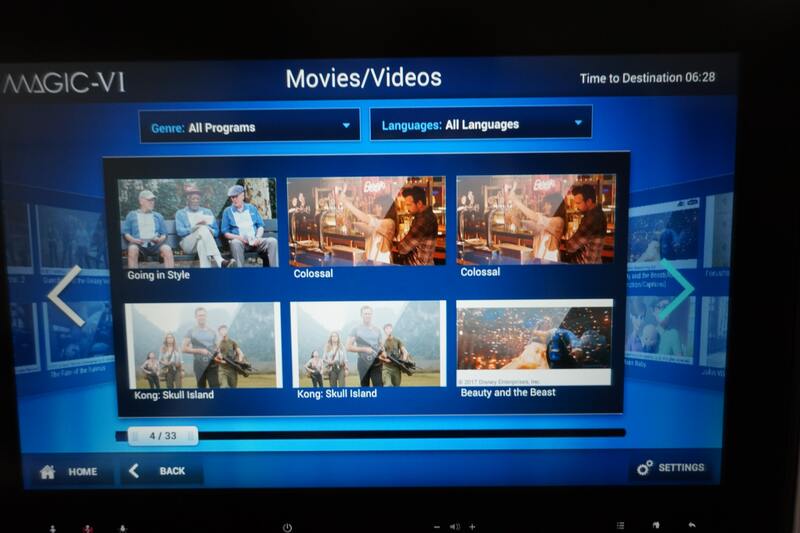 SQ’s cabin excels at this, LH not so much). 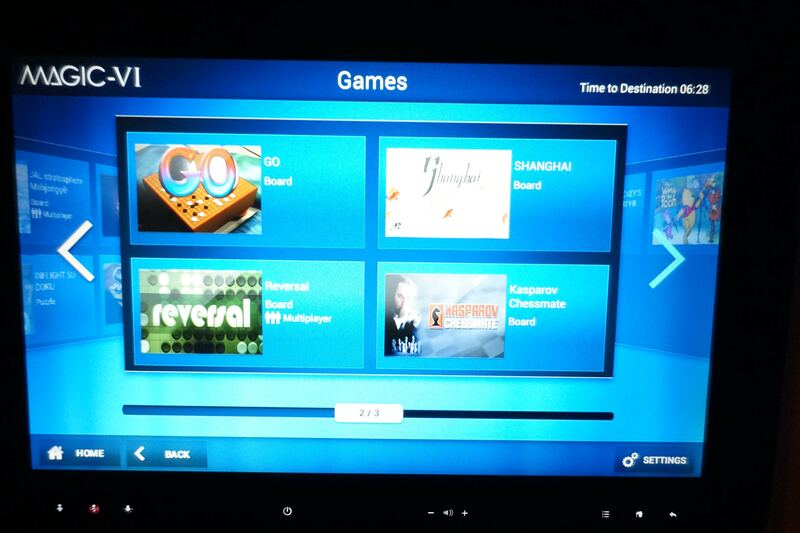 For whatever reason, my IFE screen was switched to what looks like Japanese mahjong when I arrived. You definitely don’t need to worry about having big feet in a seat like this- look at the cavernous size of the foot area. Seat controls surprisingly didn’t have any presets for lounging and full upright. But pressing the moon button put the seat into full flat mode. 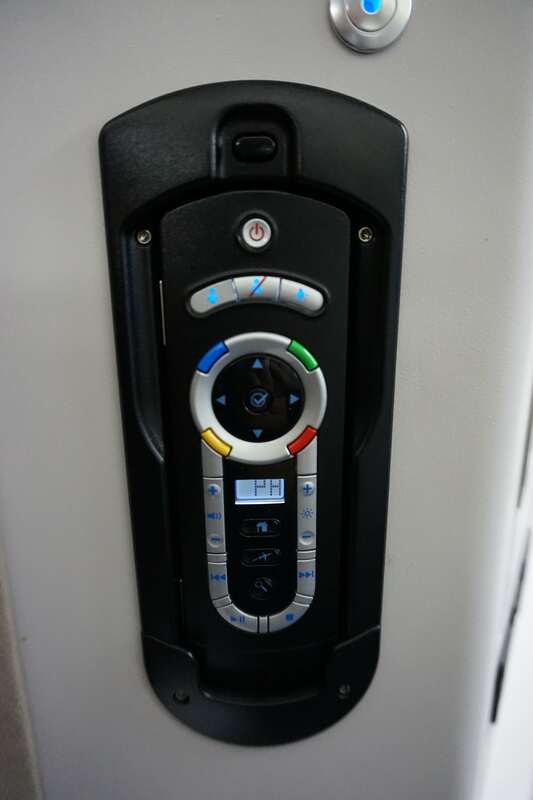 The only controls were for moving the seat up and down, and for lumbar support. 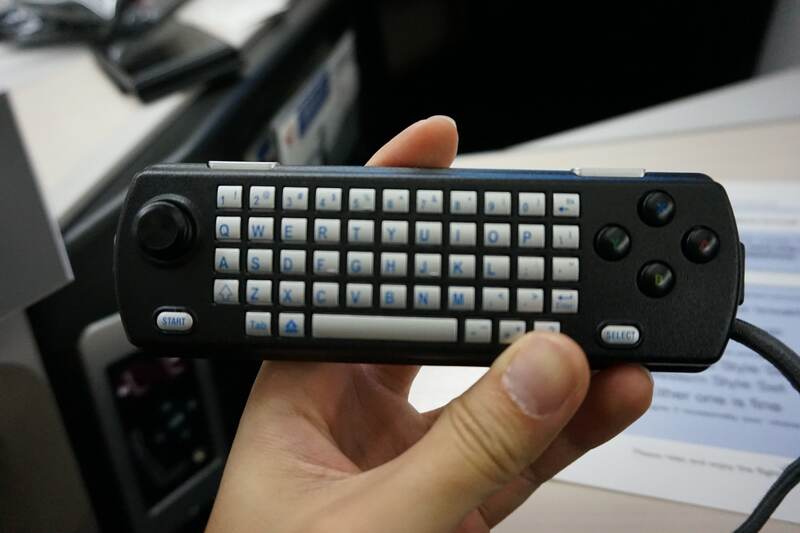 There’s a full keyboard and gamepad on the back, and unlike other game controllers which have D-pads, this has a joystick. Ah, the Japanese. 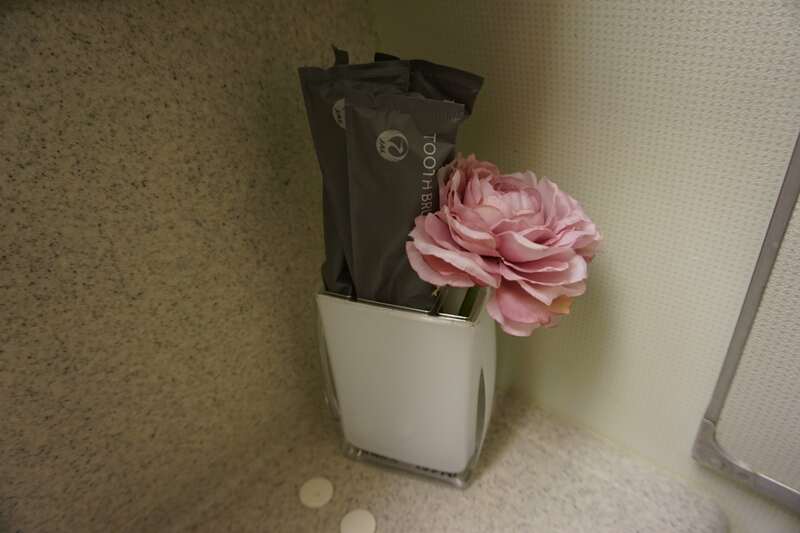 …but open it and you’ll see it’s triangular shaped inside, which reduces available space. You can hang your headphones here if you’re so inclined. 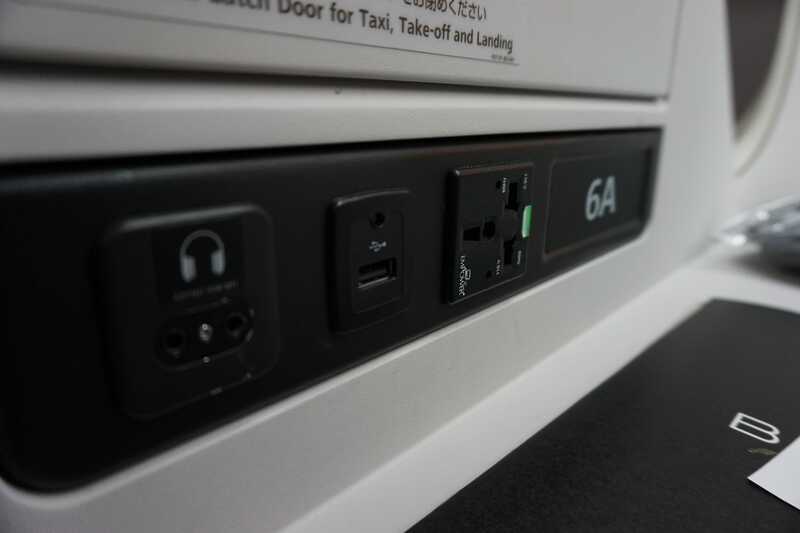 Below the storage cabinet is your headphone jack, USB port and in-seat power. 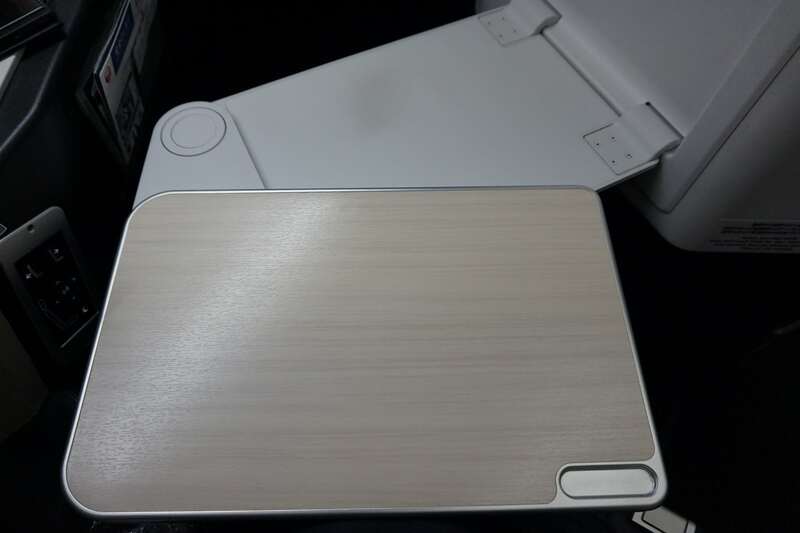 The tray table is an example of good design. 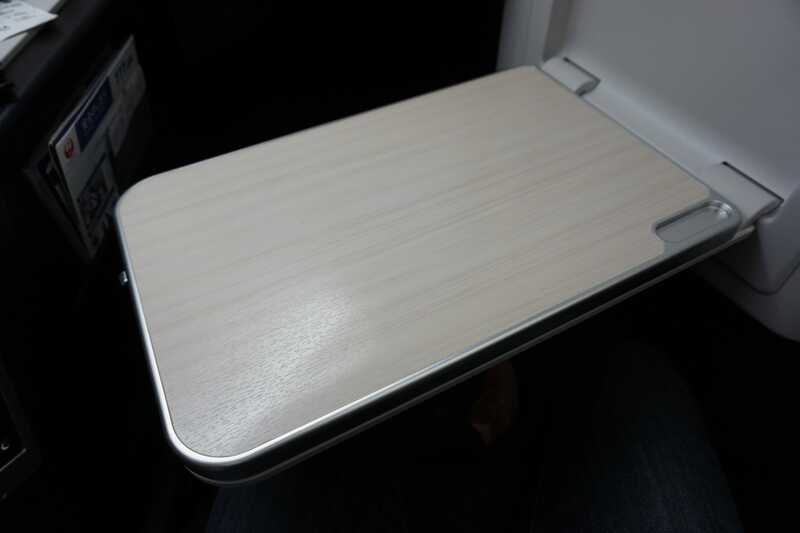 Imagine it’s mealtime and you want your tray closer to you. Just pull it forward. But inbetween the main course and desert, you need to pee. 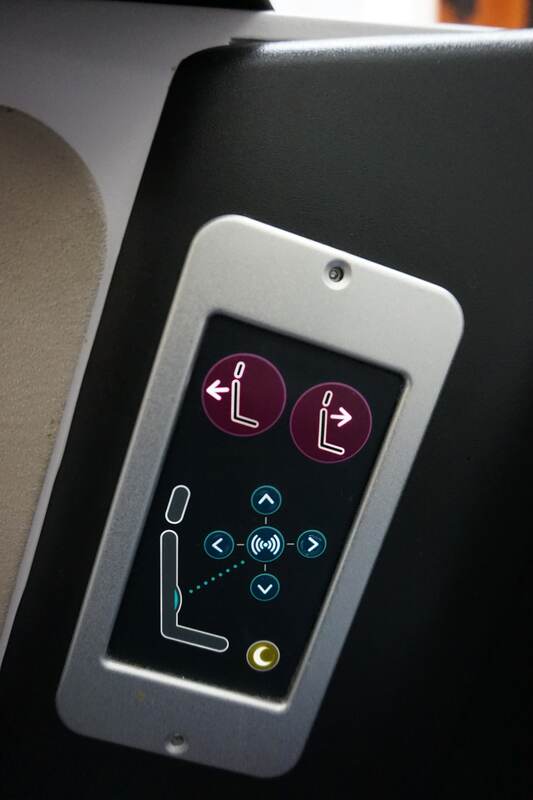 Simply slide the table forward and exit your seat gracefully. 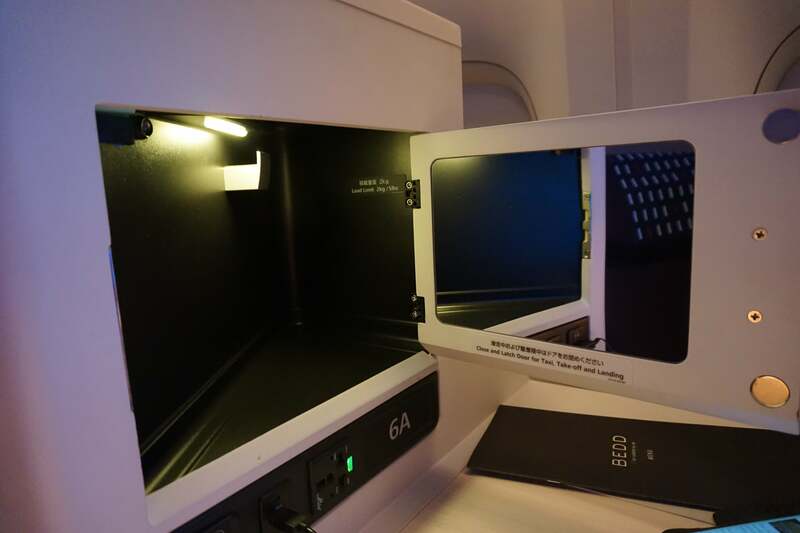 It’s amazing how many airlines neglect to properly plan this feature- even SQ’s business class seat is tricky to maneuver yourself out of if you have a fully loaded table. Given how particular the Japanese are about packaging, I wasn’t too impressed with how the headphones were presented. I almost thought someone had left some garbage behind in the seat. 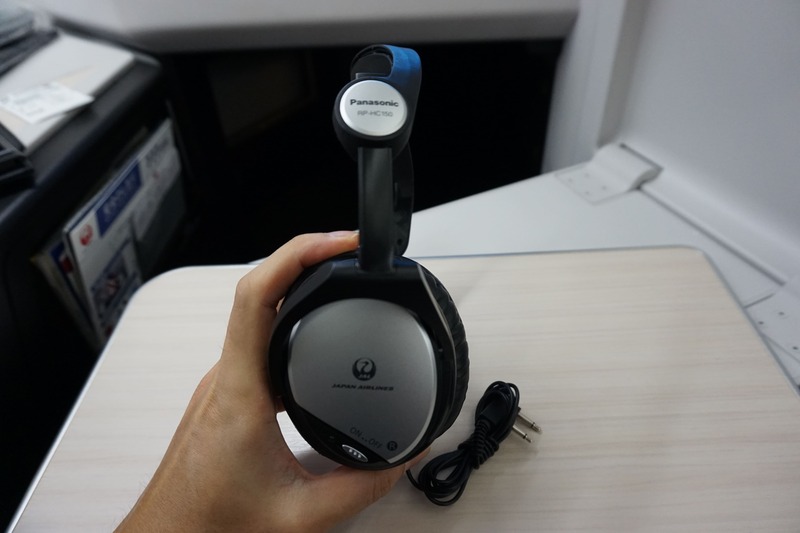 The headphones were noise cancelling Panasonic ones. They were perfectly adequate, though I prefer SQ’s Phitek ones better. 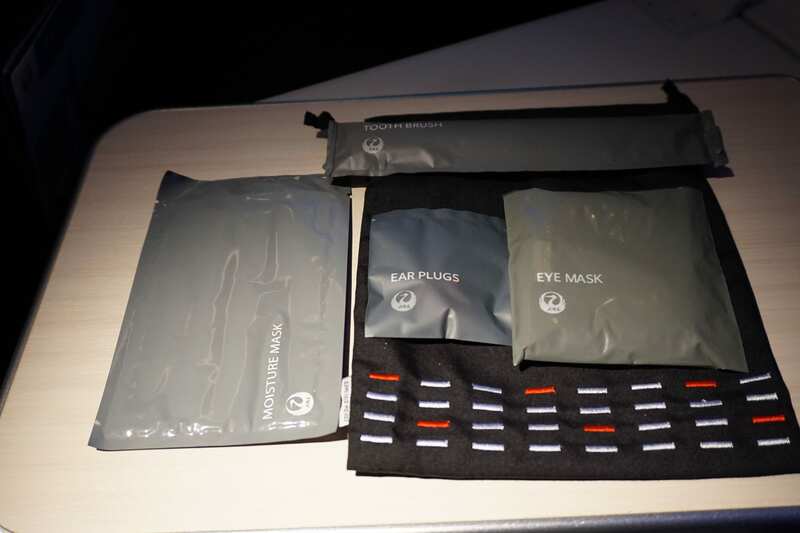 A very simple amenities kit was provided for this overnight flight (JAL’s long haul amenities kit is by Zero Haliburton) plus slippers, which are mandatory on any Japanese airline. 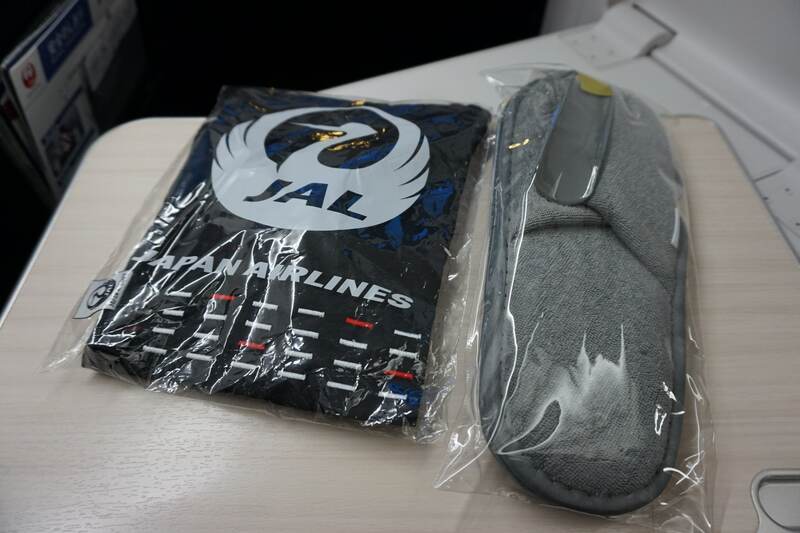 Keep in mind that this isn’t JAL’s proper amenities kit so don’t expect too much. 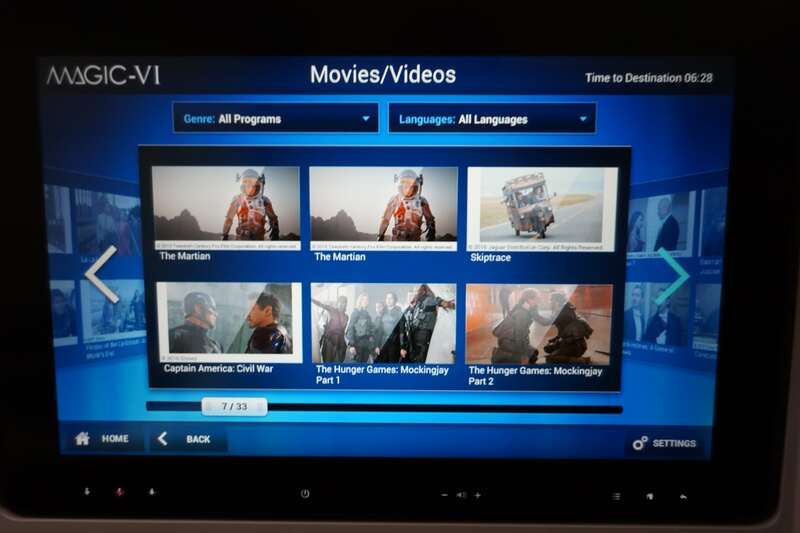 Think of it like what Qatar does on their shorter flights as a keepsake for guests. 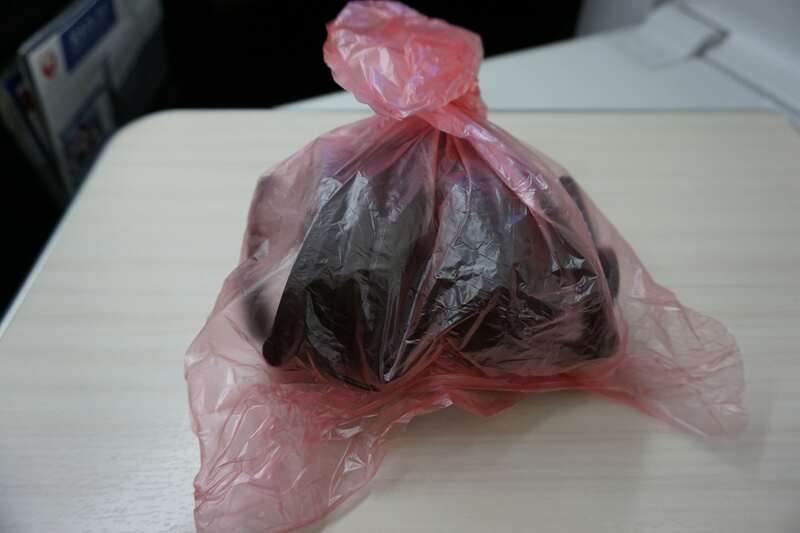 Inside is an eye mask, toothbrush kit, pair of earplugs and a moisture mask, whatever that is. The crew came around with hot towels just before the safety video played. 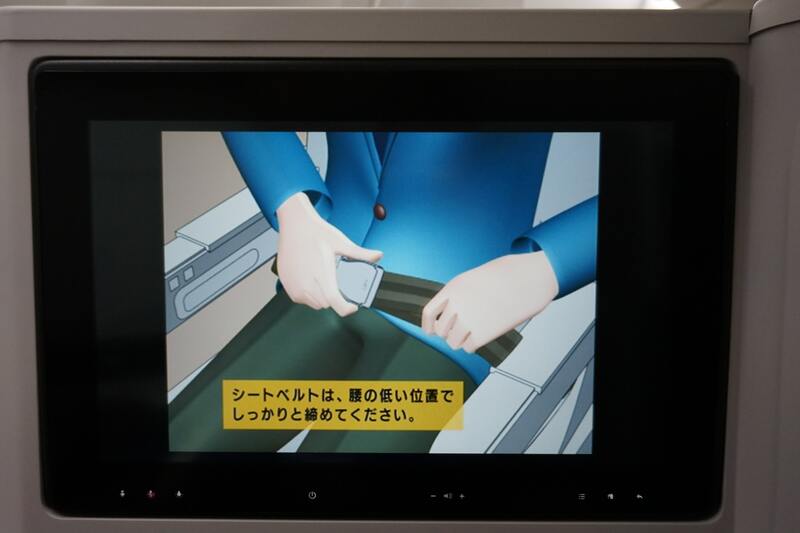 JAL’s safety video wasn’t nearly as weird as I was expecting. It was a missed opportunity for memes. 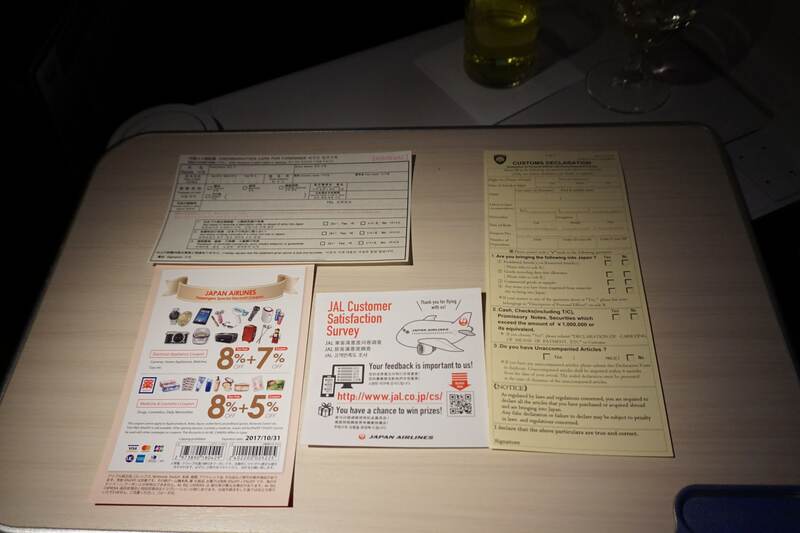 Each seat already had the menu waiting, together with an order form which the crew collected before takeoff. 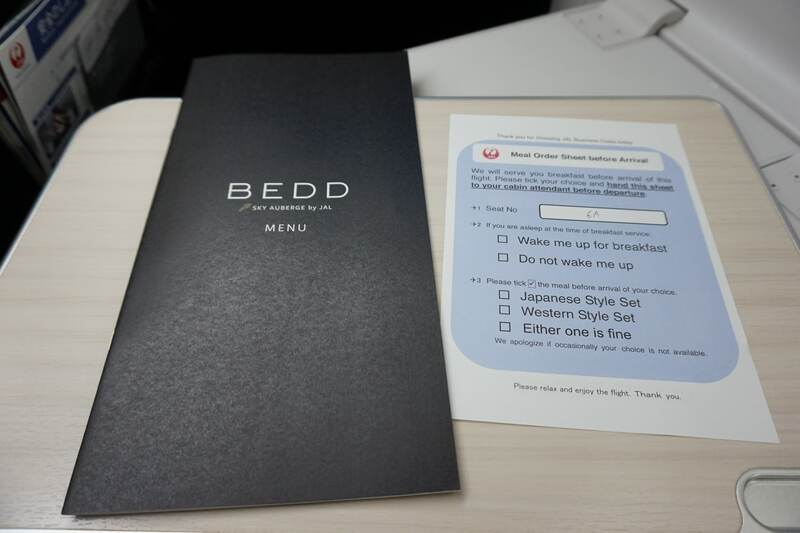 It allowed you to specify whether you wanted to be awoken for breakfast and if so, whether you preferred the Western or Japanese breakfast. And the Western one. 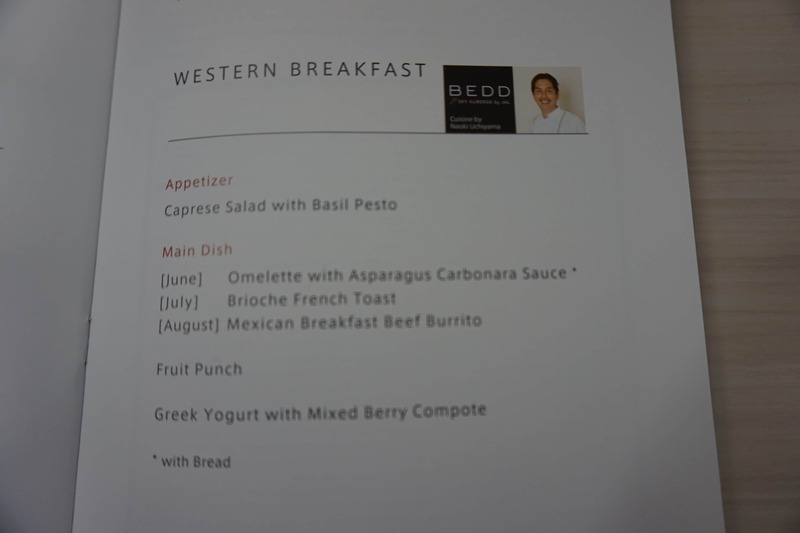 I might have considered the Western option if they were doing July’s option, but we were in the last day of August and Mexican Breakfast Beef Burrito didn’t sound particularly appealing to me. And some pretty interesting non alcoholic drinks too. After takeoff the crew started snack service. 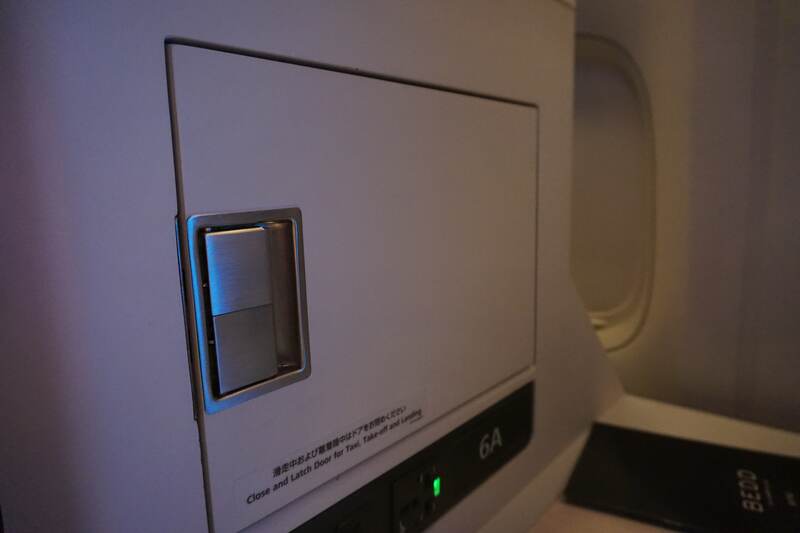 So JAL has this practice on redeye flights that I don’t really agree with (and they’re not the only one, TG did the same thing on my First Class flight from BKK-HND a while back). 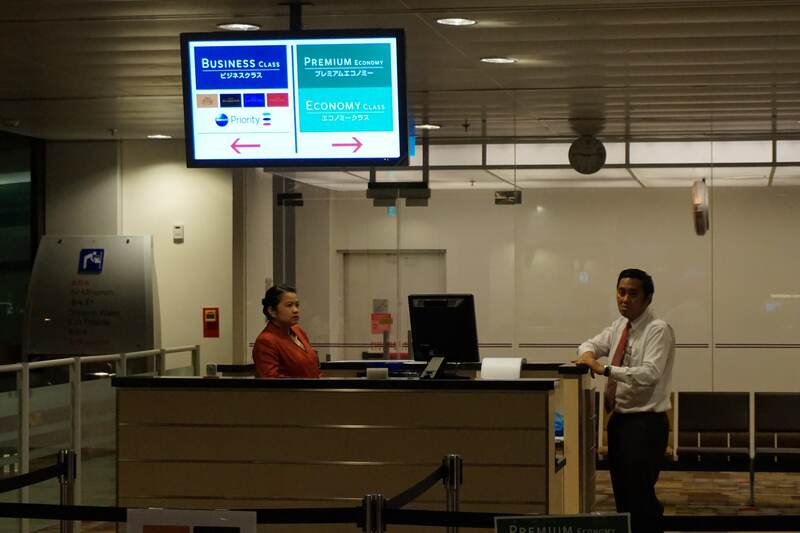 The flight departs at 2150, which is after dinner. 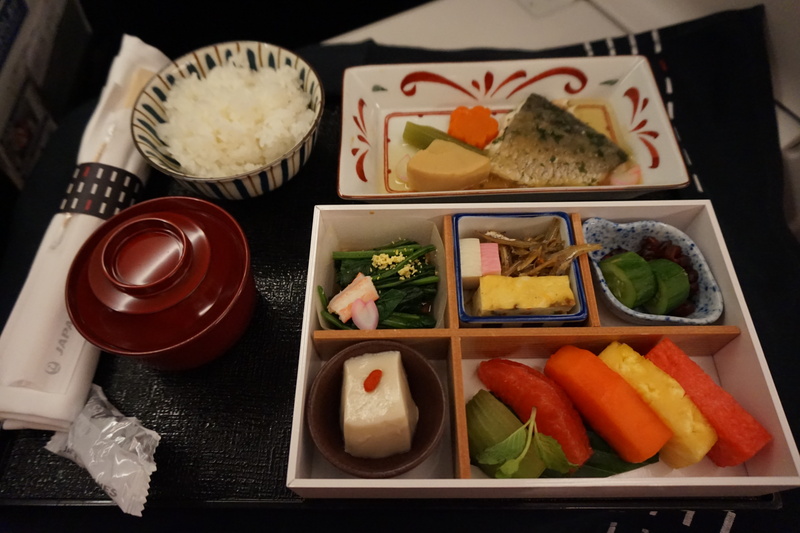 But instead of serving supper, they opt to do a light snack after takeoff, then breakfast before landing. 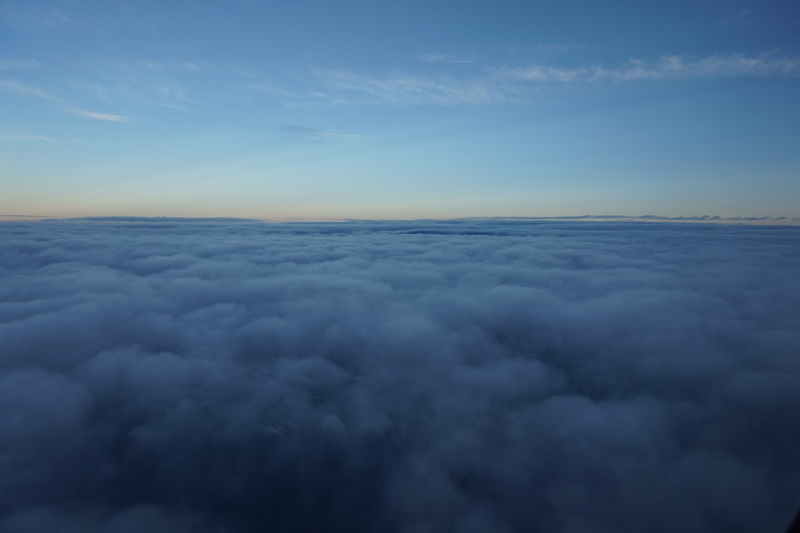 The whole point of a red-eye flight is to maximize sleep. 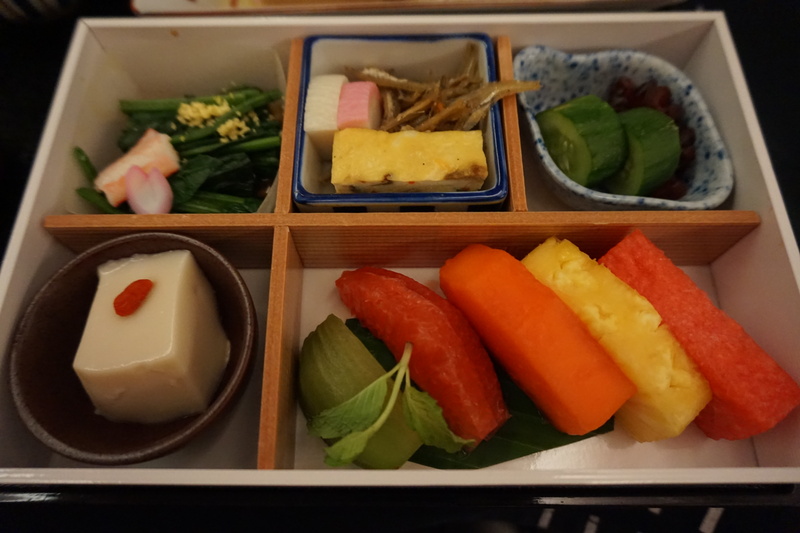 Even though the light snack doesn’t take that long to prepare, it still means movement and light in the cabin for maybe 40 mins longer than would otherwise be needed. 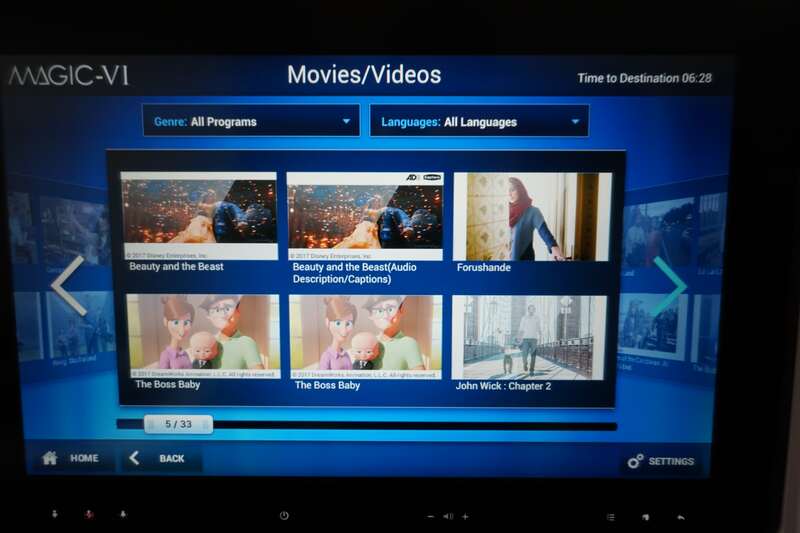 Wouldn’t it make more sense to go lights out straight after takeoff and do breakfast 90 minutes before landing? 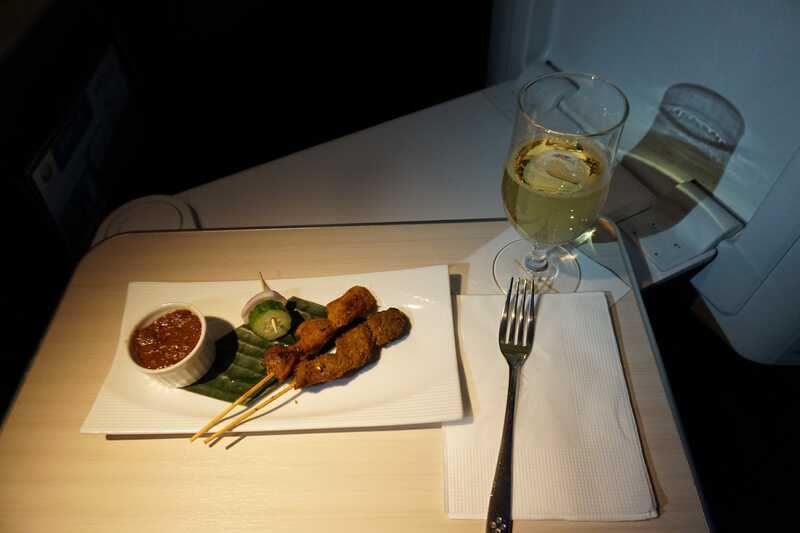 Two sticks of satay were served together with some peanut sauce and a skewer of onion and cucumber. 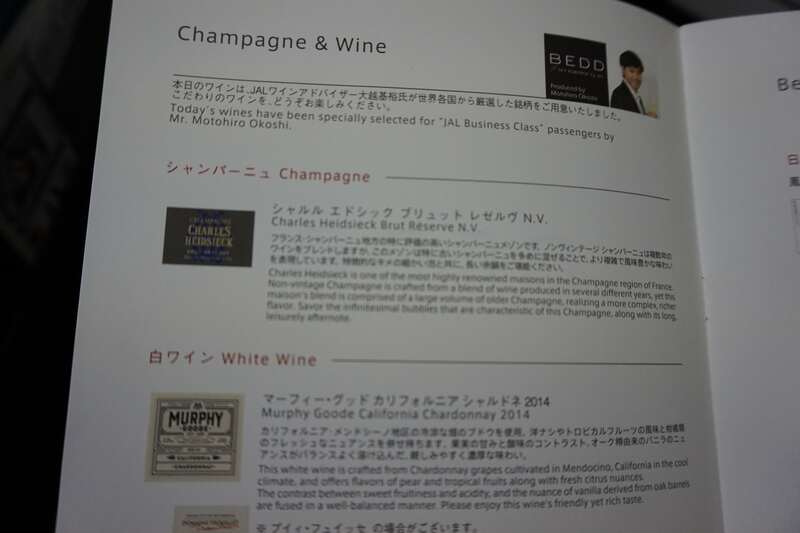 A glass of Charles Heidsieck Brut Reserve (the same one as SQ serves) was poured too. 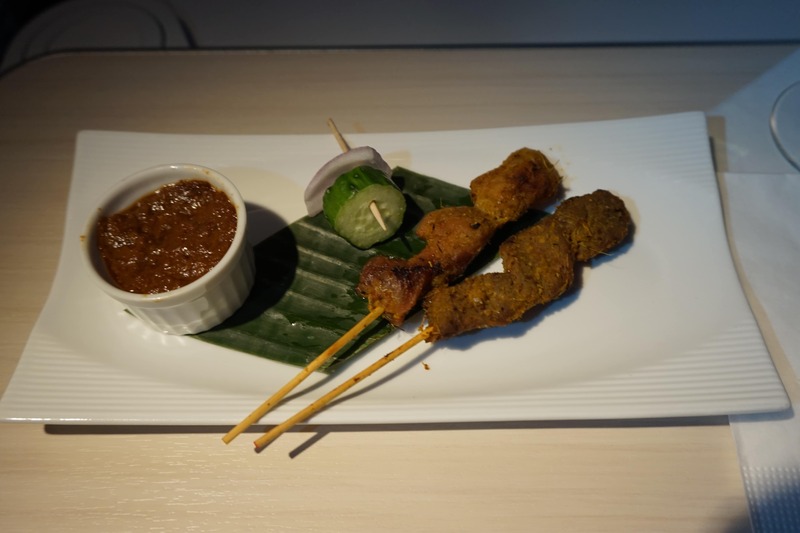 This definitely wasn’t near the standard of satay on SQ (which is interesting, because you’d think they all come from the same caterer). No char on the satay for one (SQ still grills them over a charcoal grill), and relatively chewy meat. 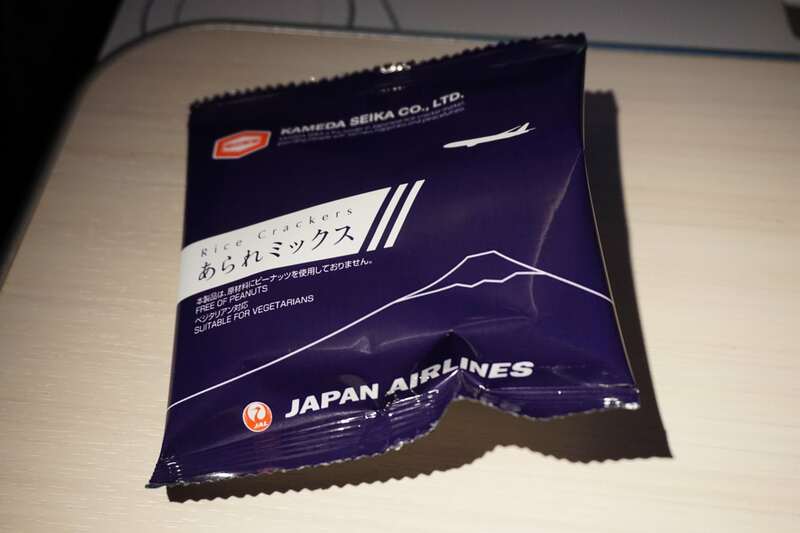 The crew passed out packets of rice crackers too. 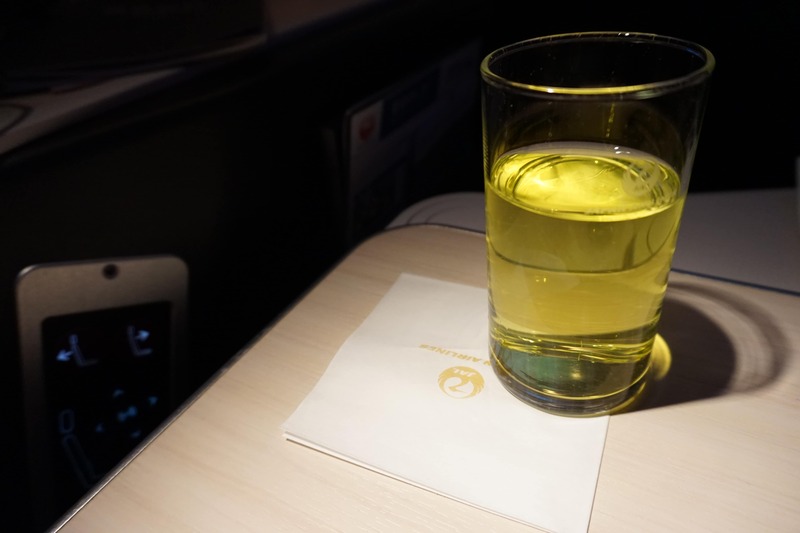 I got a chance to try a very interesting drink, JAL’s original SKY TIME Kiwi. Yes, Kiwi juice. This has quite the following online, and it was big news when the drink was brought back. 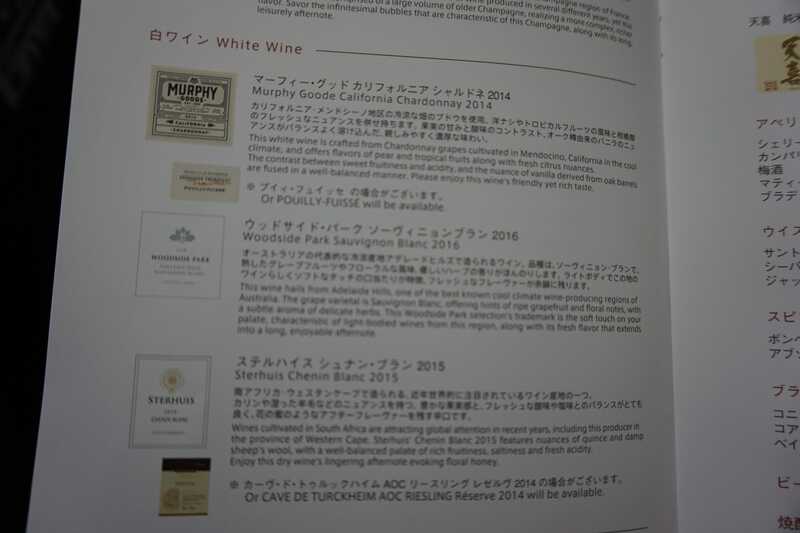 You can buy the drink online at JAL’s site if you’re so inclined. After the snack was finished the crew came around the cabin to distribute immigration cards and custom forms. Inside was also a discount voucher for BIC Camera (a major chain of electronics stores in Japan, although they also sell booze!). 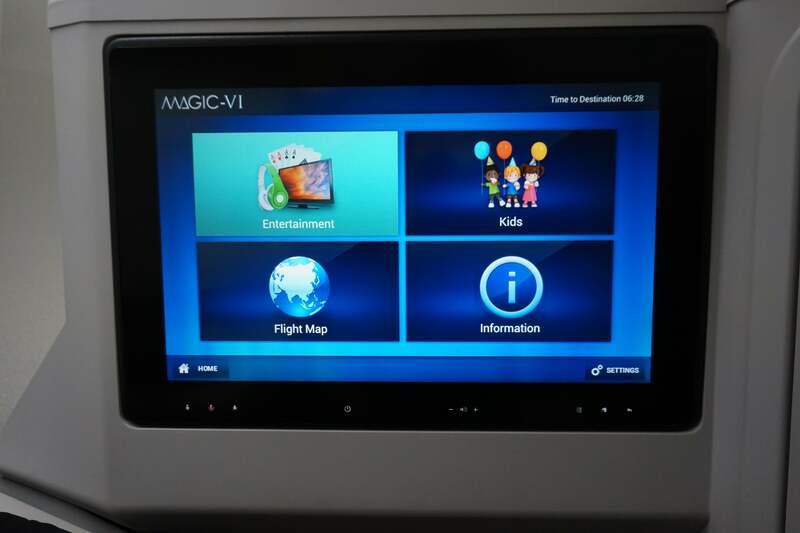 JAL’s IFE is called MAGIC-VI. 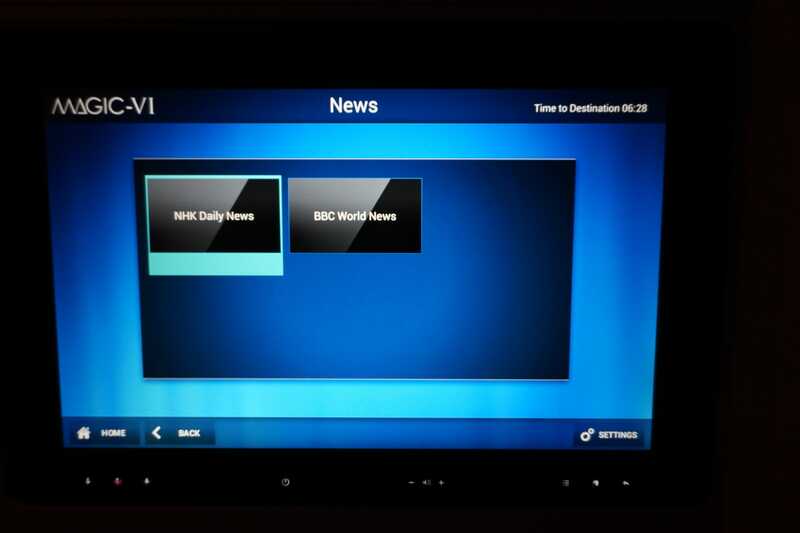 It has a very simple interface compared to many of the other IFE systems I’ve seen. The games selection was disappointing for a country with as storied a video game history as Japan. 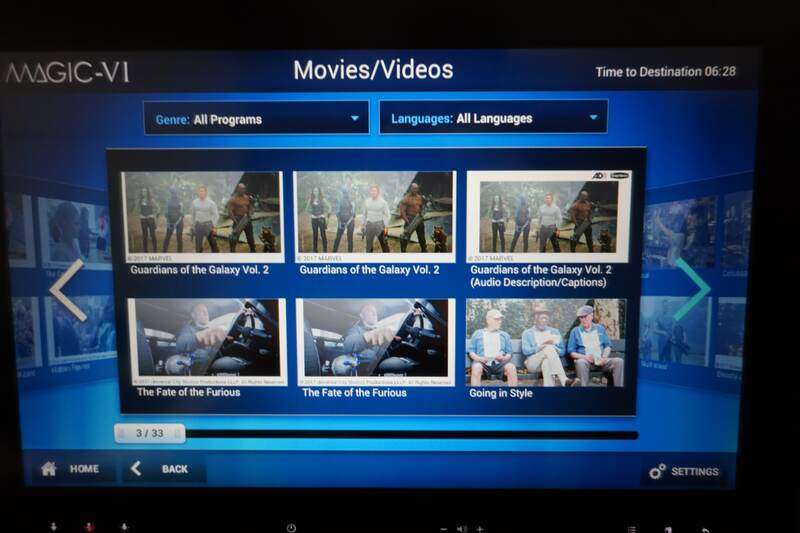 Fortunately, the movie selection was extensive with recent and older titles. It looks like a lot of movies, but in reality the same title is repeated twice- once for the English version, another for the Japanese. 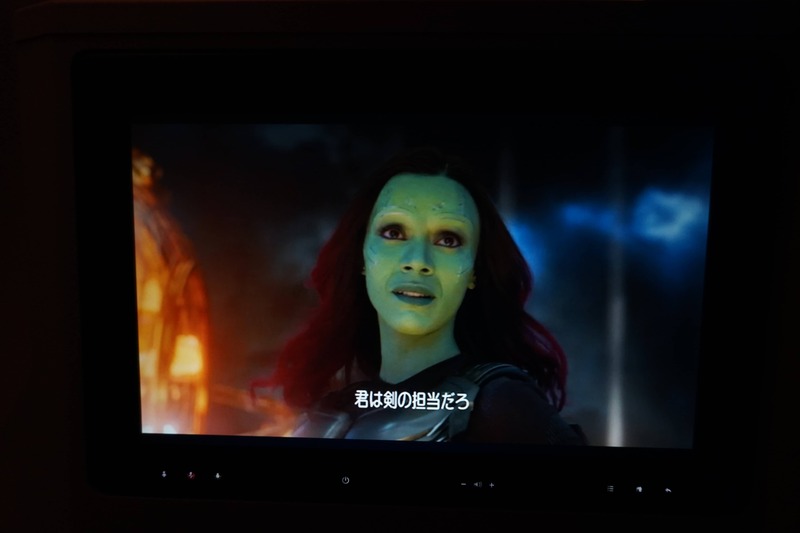 I ended up re-watching Guardians of the Galaxy 2. I’m boring that way. Before heading off to bed I did the usual toilet check. 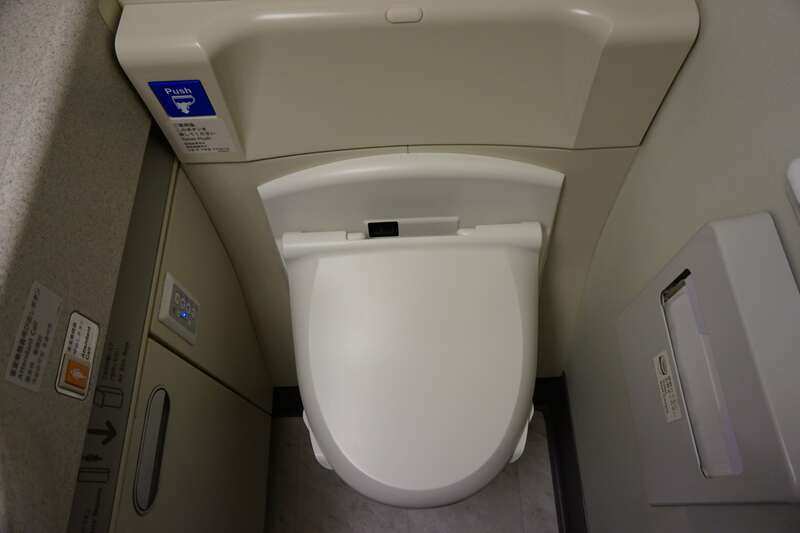 I love how particular the Japanese are about bum hygiene. 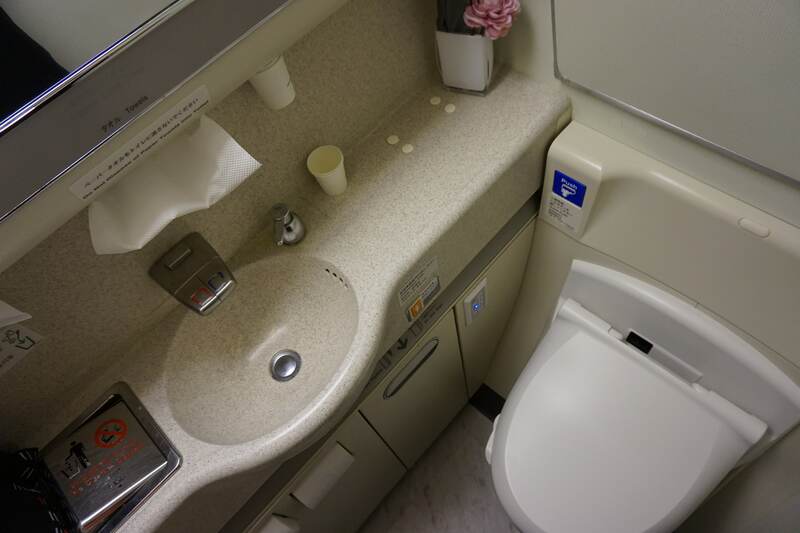 Both ANA and JAL outfit their loos with bidets, even in economy. I wonder how much additional water that ends up using. 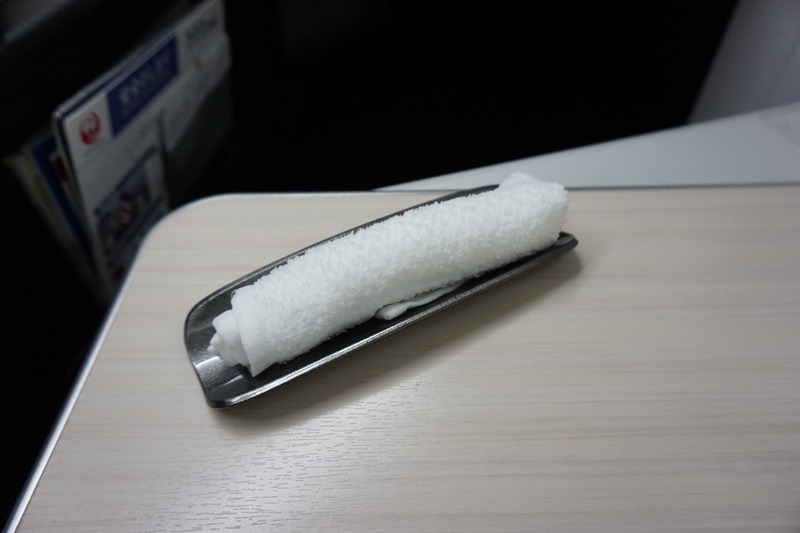 As this was an overnight flight the crew had put some additional toothbrushes in the loo as well. 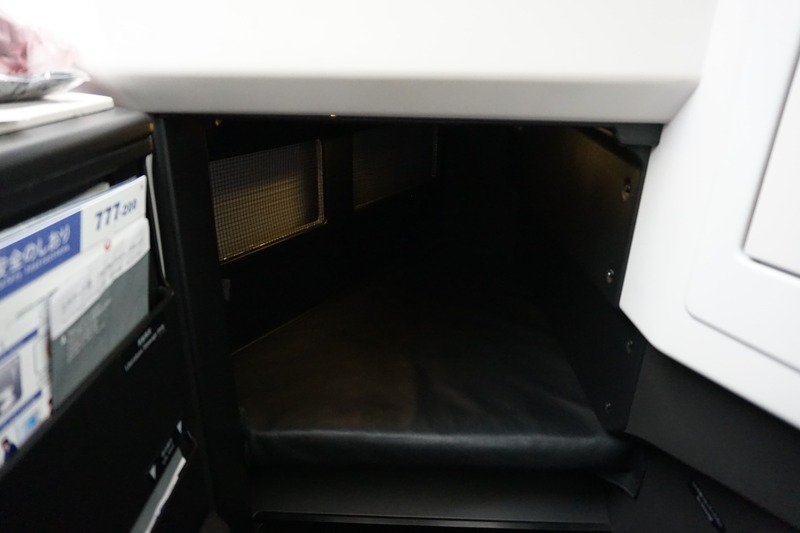 I found JAL’s bed very comfortable, in part because of the wide space to move around your feet. 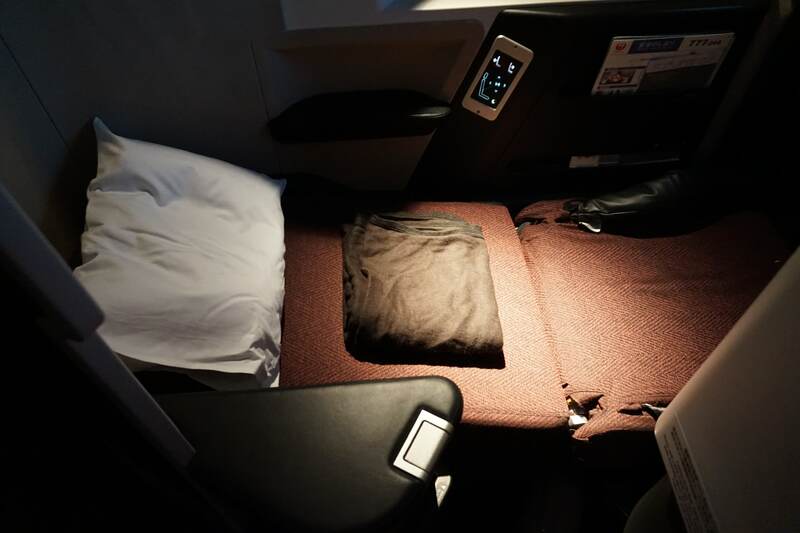 Unfortunately no mattress pad was provided which is a bit of a glaring omission considering the fact that ANA provides one on their Tokyo-Singapore flights. 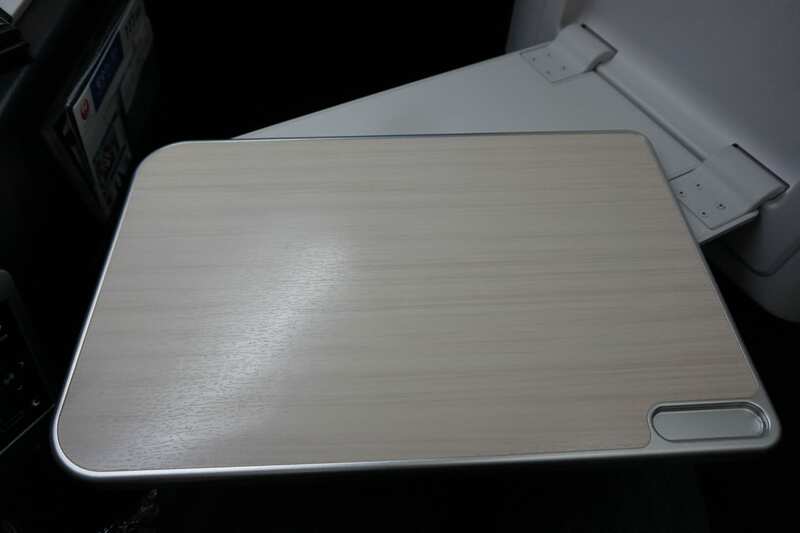 The bed itself is long at 198cm, and 53cm wide, although you can lower the armrest to give yourself more space. 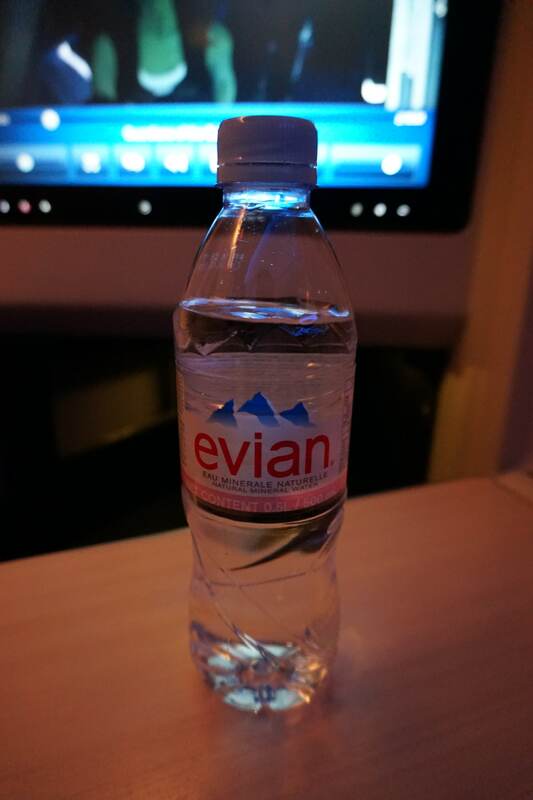 Back at my seat, I noticed a bottle of Evian had been left. 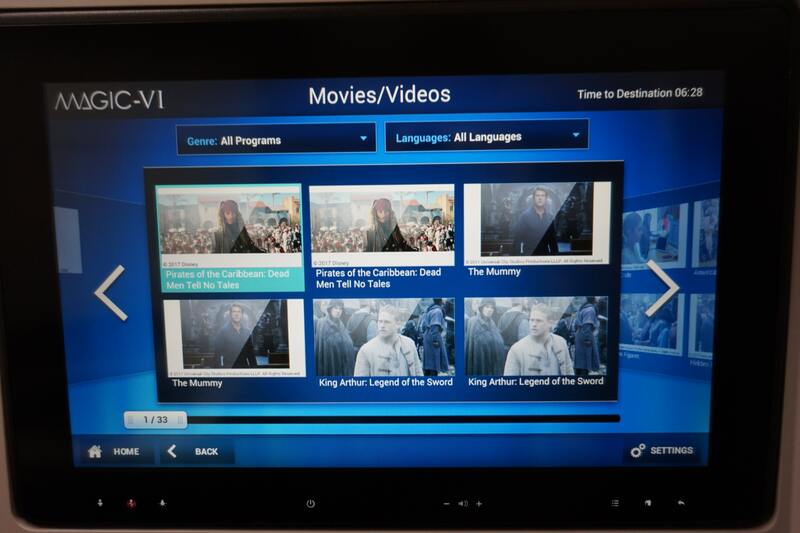 The crew woke passengers just over 90 minutes before landing (I think SQ’s policy of 2 hours is wayyy too much). It helped that the entire meal was served on one tray as well- I know some people dislike this but it makes sense when you’re trying to maximise sleep. In comparison, today’s meal was much more lackluster. 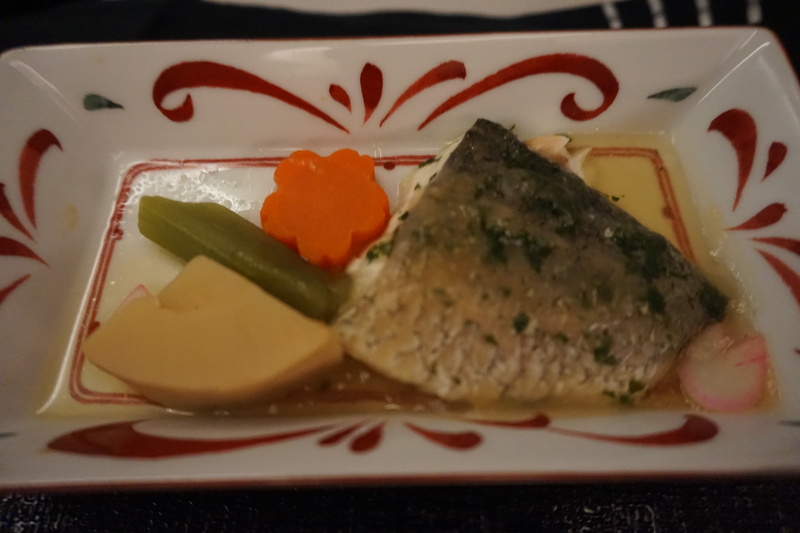 Sure, the rice was amazing (as Japanese rice always is) and the sea bass was tasty, but the other items were so-so. 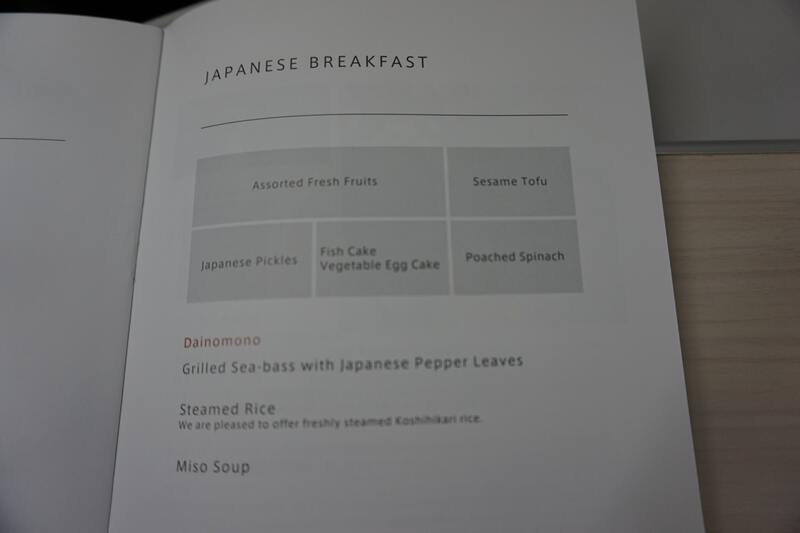 I’m sure Japanese food ex-Japan will always be better than from outstations, but I’d have thought Singapore would be able to do a good interpretation of it. 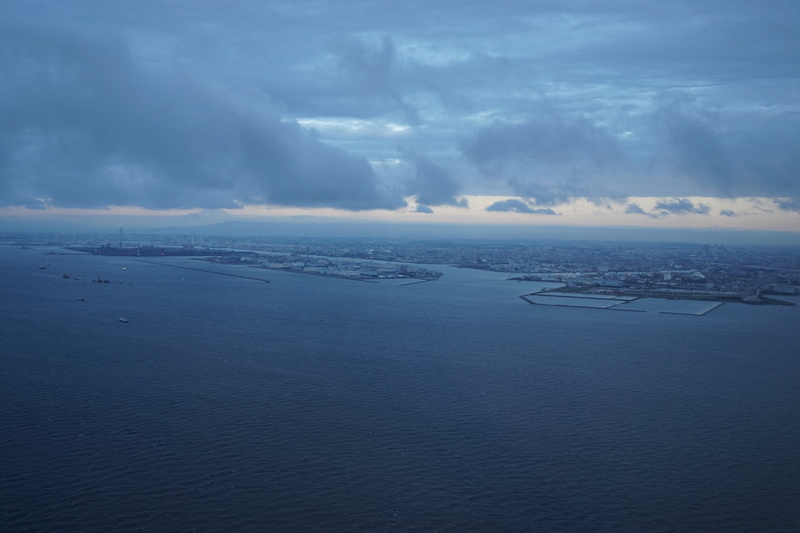 Shortly after the trays were cleared the window shades were opened and we started our descent into Haneda. 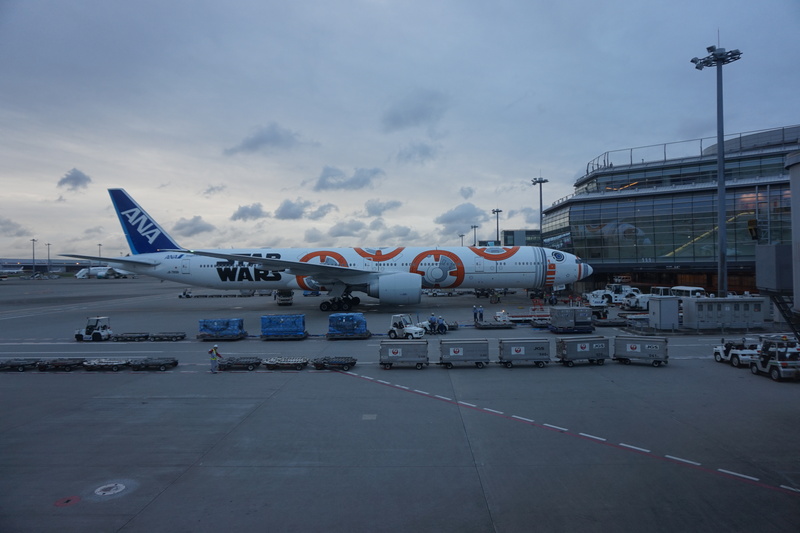 Upon landing we parked next to an ANA Star Wars BB-8 plane. 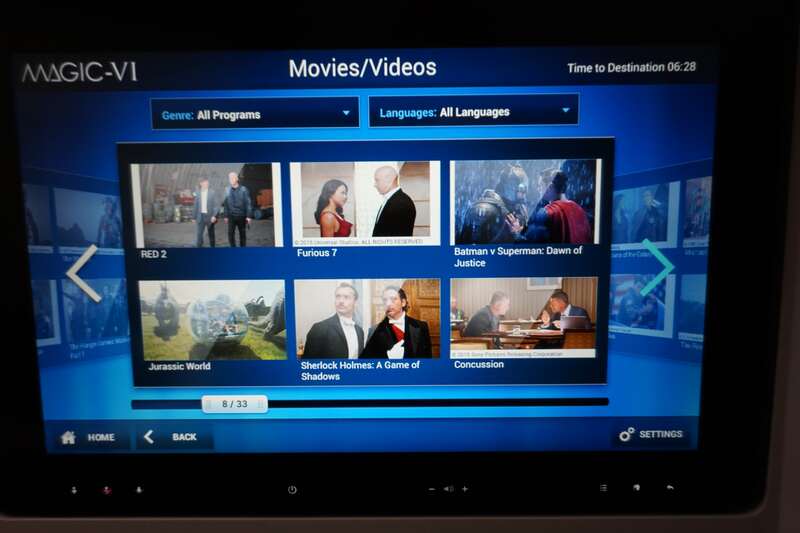 Here’s a look inside. 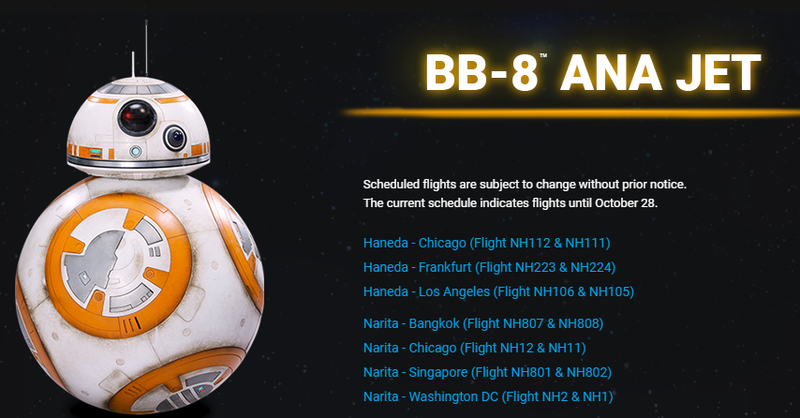 The plane is currently flying the following routes, in case you’re interested in catching it. 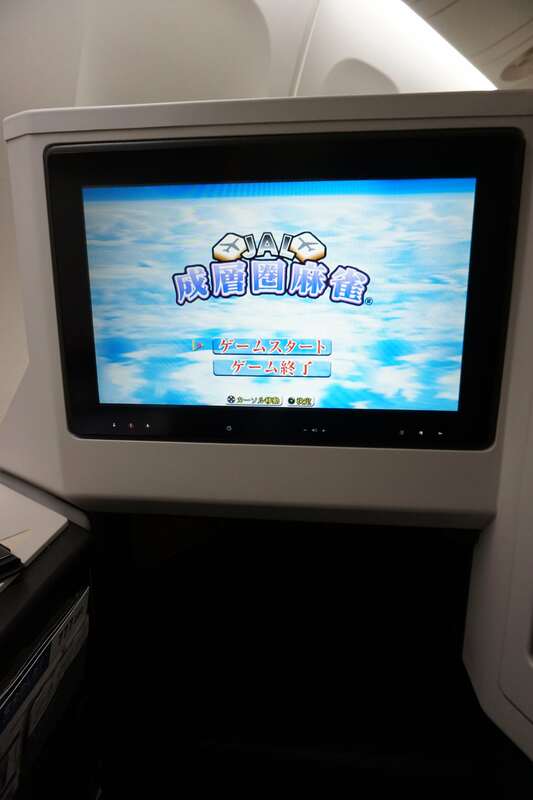 Overall, JAL’s 772 was certainly a comfortable flight, but I think the catering and service fell short of my previous JAL experience with their Apex Suites on the 77W. 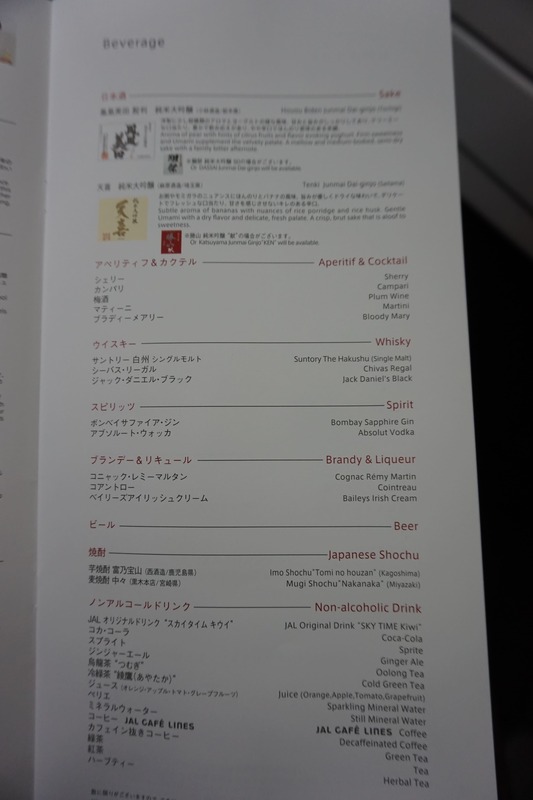 That said, I think it’s hard for the service to really shine on a redeye flight where you have an abbreviated meal and drinks service. 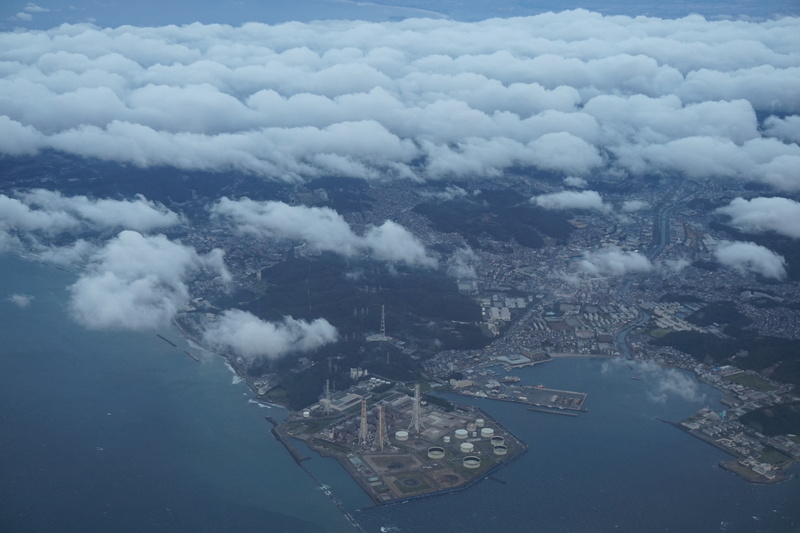 Fly the code share with MH to NRT from SIN and deliberately choose the JL flights for KUL-NRT-KUL. 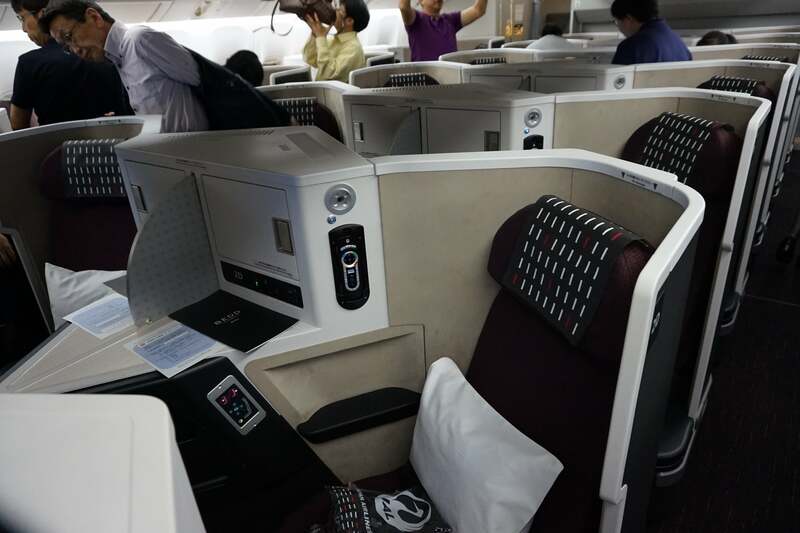 They fly the 787-9 with those magical apex seats on that route, apparently the only one in south east asia to get it. 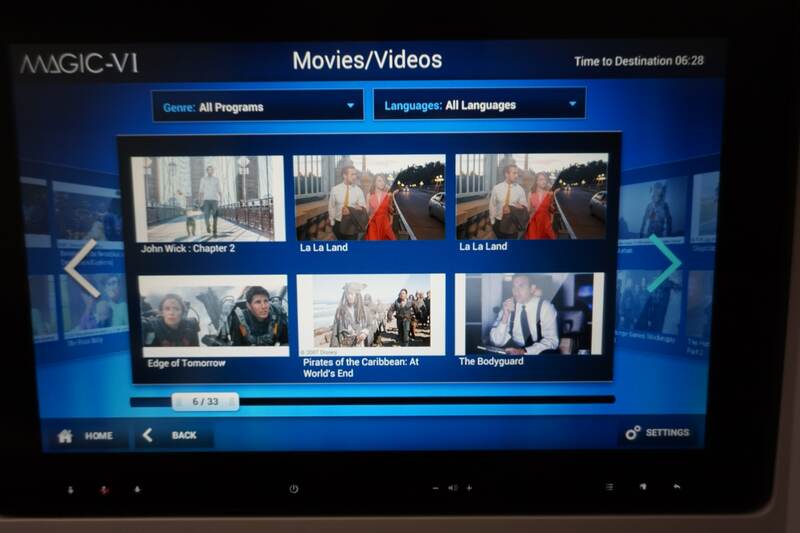 Trick is to purchase it from MH website and be rewarded with a price even Alaska Mileage Plan can’t buy. 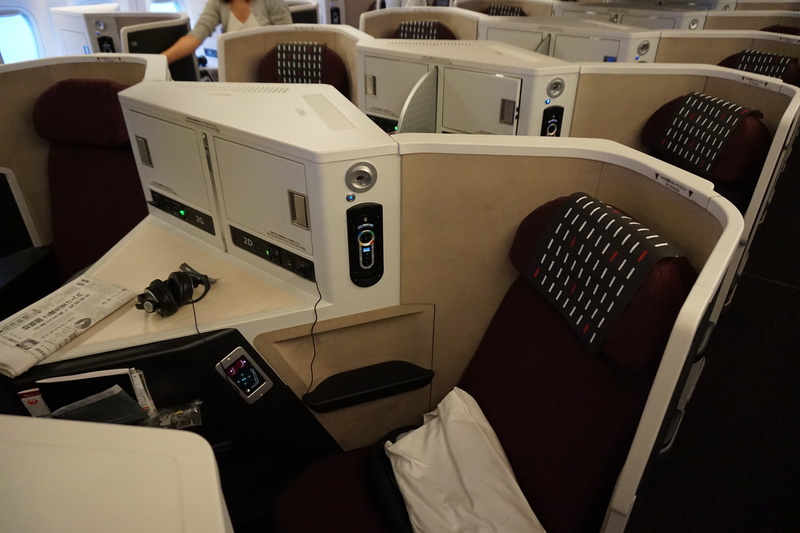 Hello Aaron – can you share how did you redeem this JAL flight please? 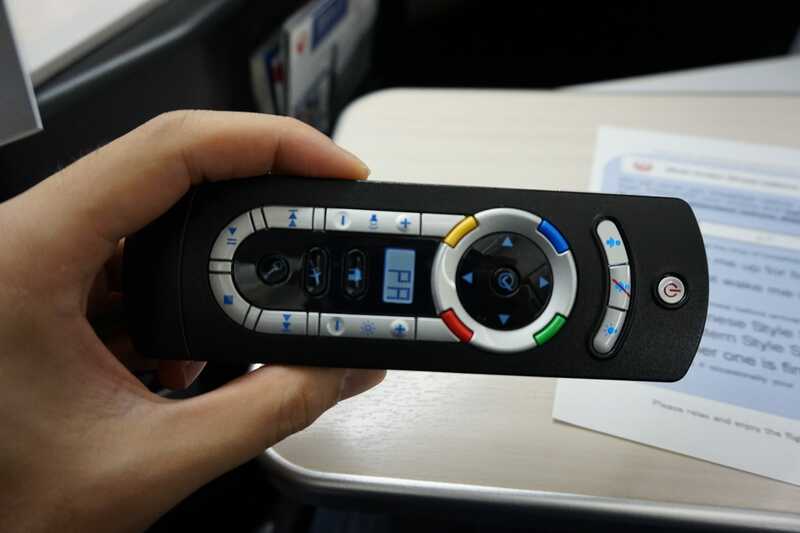 IFE controller on JAL 777-200ER is the one used in all longhaul BA aircraft (except 747-400 and 777-200ER based in Gatwick) across all cabin. ah, will look out for it next time. thanks!